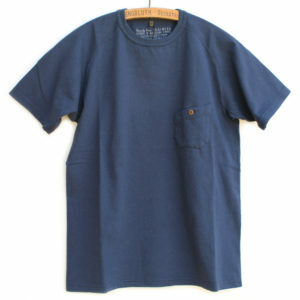 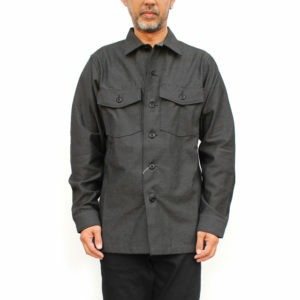 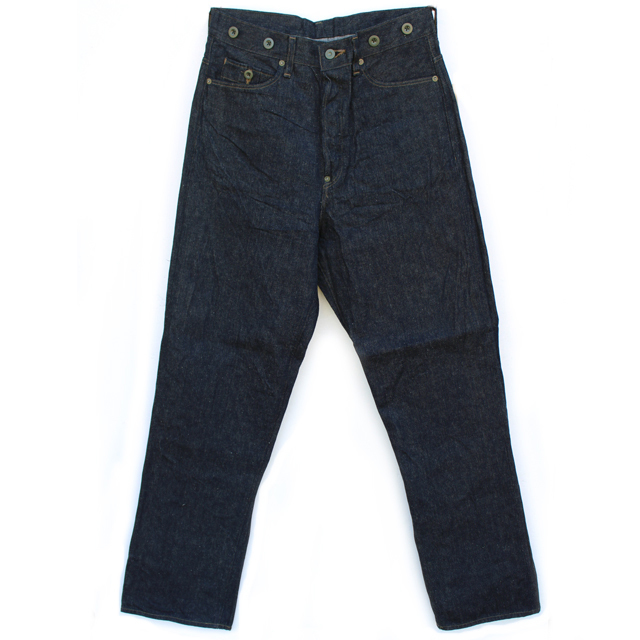 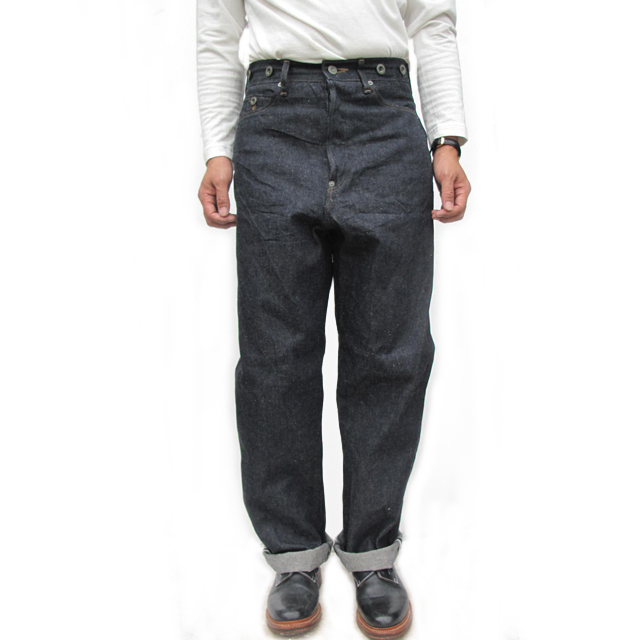 Nigel Cabourn 4 Pocket Jean. 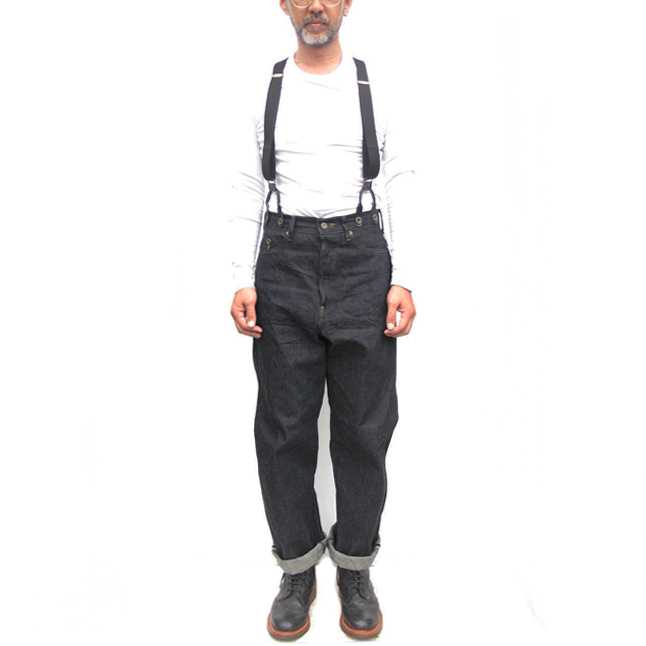 Inspired by those vintage early 20 century’s work jean. Made from its original 12oz selvage denim. 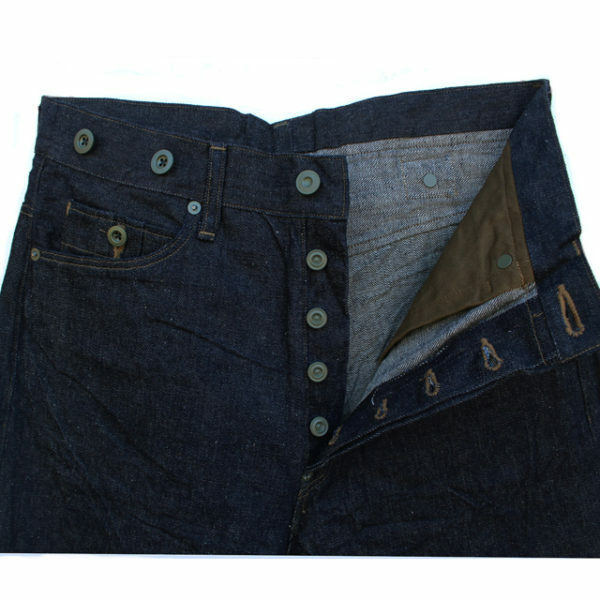 Very neppy fabric like the real vintage one. 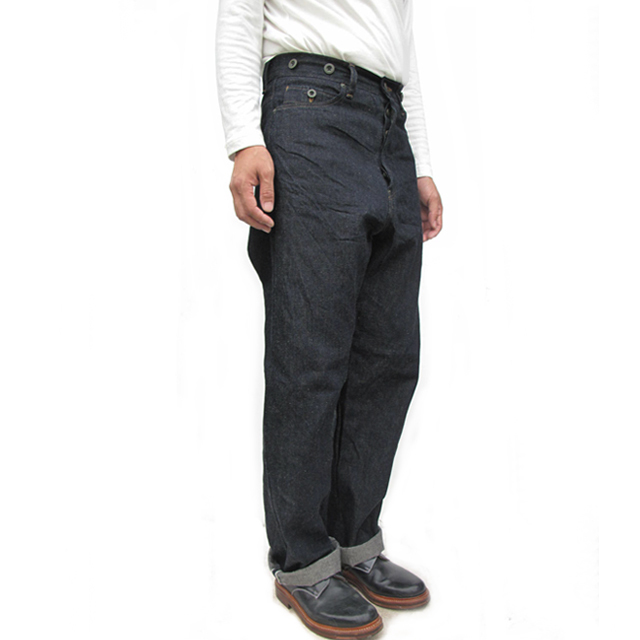 The denim is raw but it is not that stiff like some other non-washed jeans. 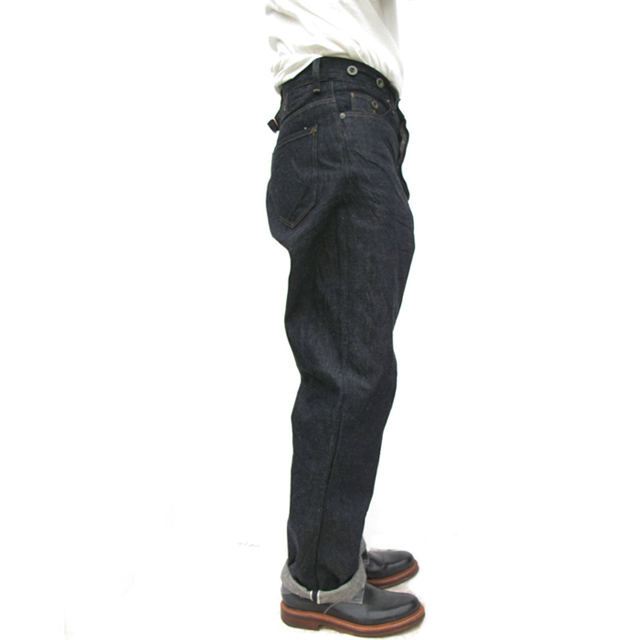 The jeans are soft enough to be worn without the first wash. 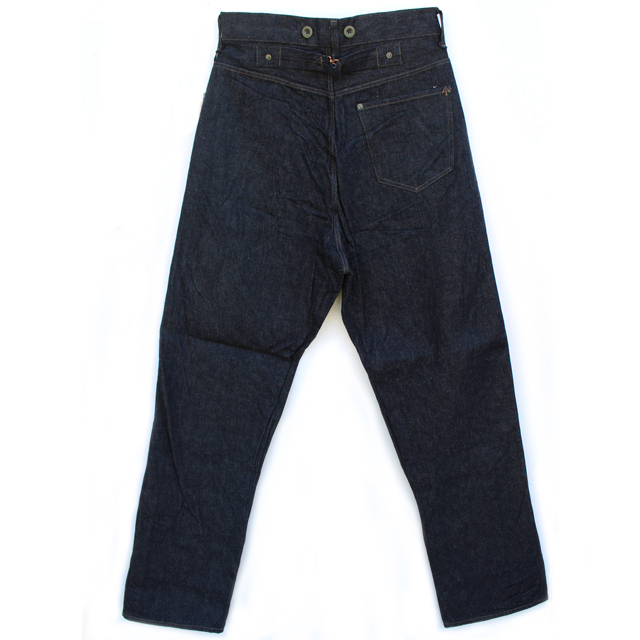 Loose straight cut with high rise and slightly tapered leg. 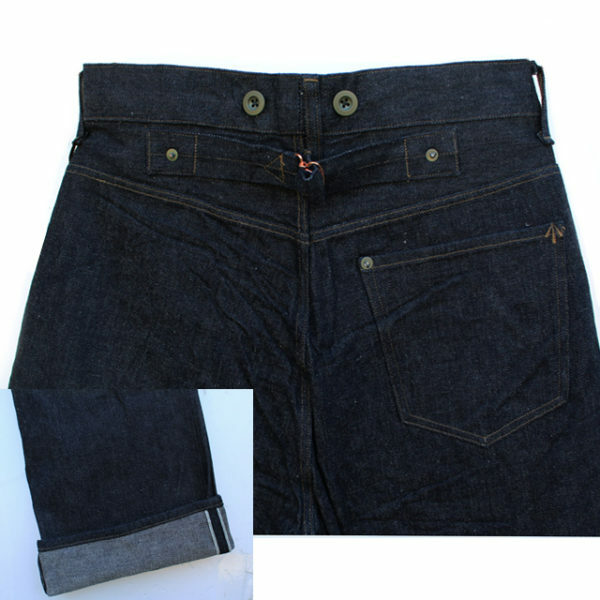 They jeans feature button fly, arrow shape bar tack on the back pocket, brace buttons, cinch back. *Model is 5 ft 75″ (175cm) slim build and wearing a 30. 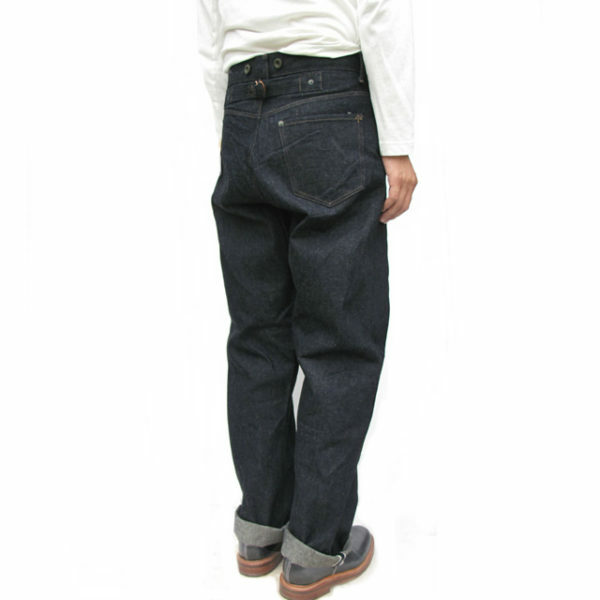 *The jeans will shrink app 1″ on waist, 2″ on legs after the first wash.